The standard plank is one of the best exercises for runners because it works the complete core, including abs, obliques, hips, back and glutes. Even holding a plank for 30-60 seconds after your run can be beneficial. How-to: Begin on the ground, pushing up into a plank position with wrists directly under the shoulders. Squeeze the glutes and core to maintaining a straight line, not letting your hips dip or lift too high. Reverse lunges are great for runners because they work the glutes, which are important for speed and power. By side loading the lunge in this variation, you’re forced to recruit more stabilizing muscles and further activate for your core for an added bonus. How-to: Begin by holding a dumbbell overhead, taking care to keep your shoulder packed in to your side. On an exhale, step the same leg back, dropping both knees to 90 degrees and keeping your feet hip width apart for stability. Push through your heel on your front foot and use your glute to return to the starting position. 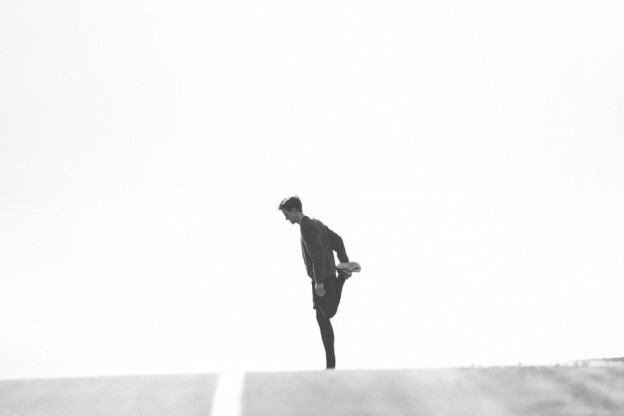 Core strength is super important in runners because it helps to maintain stability and ensures you’re able to keep your form even when you get tired. The jackknife is a great move for the core because it works both your upper and lower abs at once. How-to: Begin laying on your back, legs out and arms extended overhead. On an exhale, lift your legs as you simultaneous lift your shoulder blades off the mat, really reaching for those toes. Reverse the movement to return back to the start position. 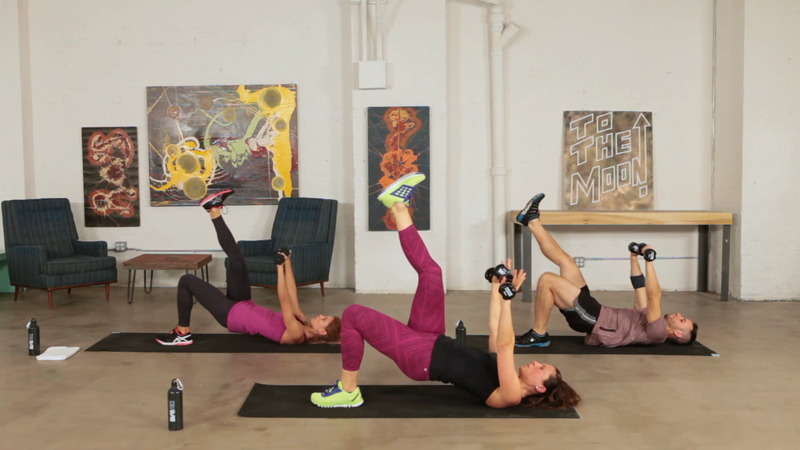 For an added challenge, do this move holding a dumbbell. Bicycle crunches are another great core move as they work the upper abs and lower abs, while also really targeting those obliques. How-to: Begin laying on your back. Place your arms behind your head for support and lift your shoulder blades off the floor, bringing your knees towards your chest. Straighten your left leg as you turn to the right, reaching your left elbow towards your right knee. Continue to bicycle your legs, twisting your upper body towards the opposite side. The bridge is awesome for your glutes and hamstrings and by working each leg separately, you’re helping to ensure that your body is balanced. Add in a chest press if you’d like to get your upper body involved, too. 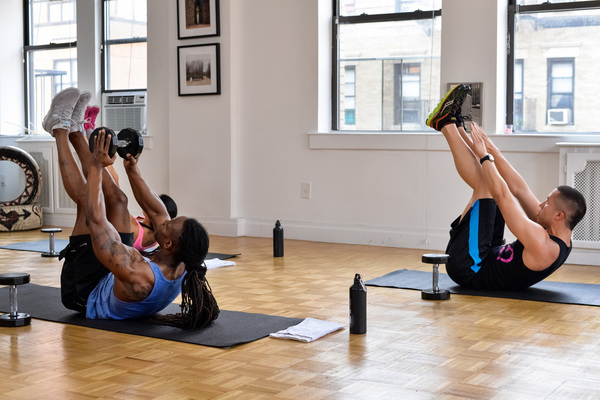 How-to: Lay on your back, hands at your side for balance or holding dumbbells for a chest press. Bend your knees so your heels are in line with your knees and extend one leg overhead. Press through your heel, lifting your hips towards the sky. Lower and repeat, timing your chest presses with your hip lifts.